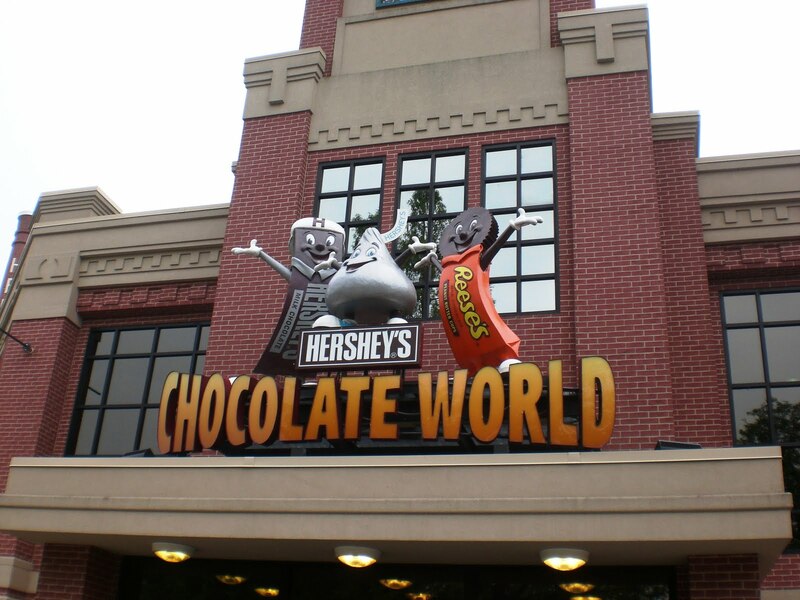 We spent some time over in ChocolateWorld, which allowed for the more educational stuff, and some great tastings. We didn't really know what to expect, and I for one was rather perturbed that the activities were a la carte and rather high-priced. $15 to make your own candy bar? Anyway, we signed up to take a chocolate tasting class together ($10 each, and I'd say it's worth that), but it wasn't for about an hour, so we did the "official" chocolate tour ride. We were among the few who read all of the information leading up to the ride (aka the signs on the walls while you walk through the queue), and learned quite a bit. We also saw a video about how the cacao plant is harvested and how the beans are turned into chocolate. Then, when we got to the platforms, we rode in cars that had two rows of two (or three if you're a kid), and they went through a bunch of rooms to tell the story of Milton Hershey and see how the different parts of the factory worked (starting with the cows the milk comes from, shown below). It's kinda neat, but I wish we moved a little slower throughout. I could definitely go on it again. 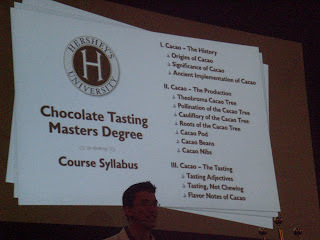 The neatest part was probably the Chocolate Tasting "seminar" we attended. 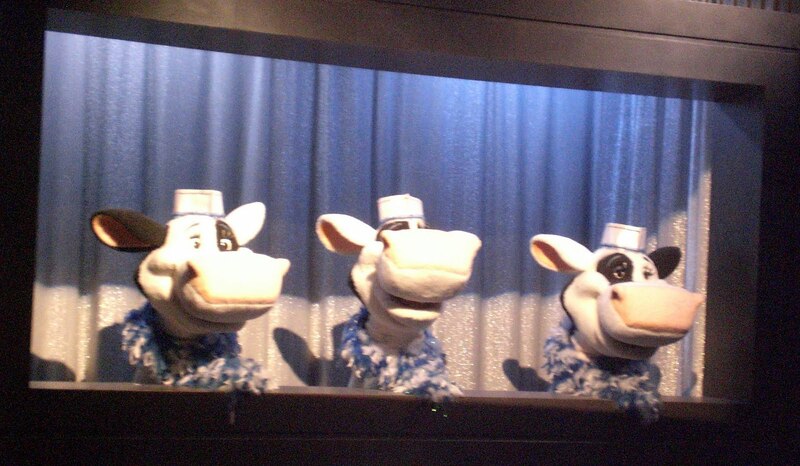 We sat in the second row, and had quite a few things in front of us on the table. The "instructor" was pretty cool, although some of the stuff was stupid-funny, obviously geared for the children in the audience. 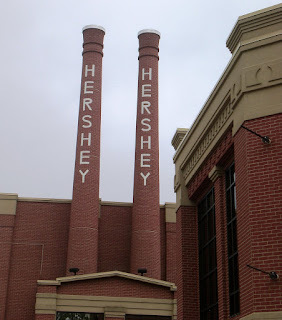 We got to taste five different items, and again learn a lot about the process used to create the chocolates. 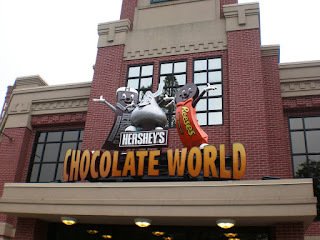 We also hit on the differences between dark chocolate and milk chocolate and white chocolate, which was interesting. 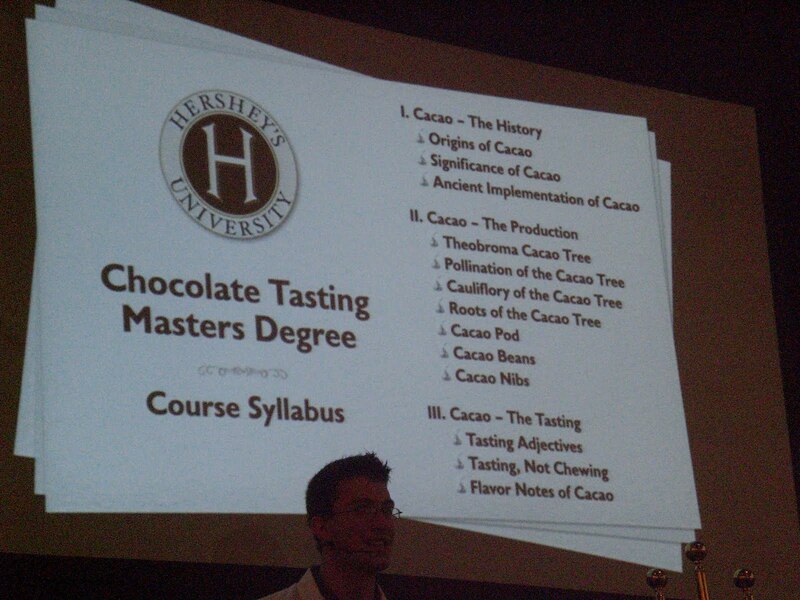 Lastly, we each received a Master's in Chocolate Tasting, which I kinda thought was awesome. 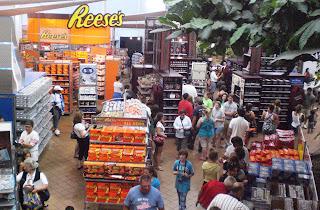 Then we walked through the candy store (couldn't get the whole thing in a photo, but part of it is below), and Jonathan purchased a few candy bars that are hard to find regularly. 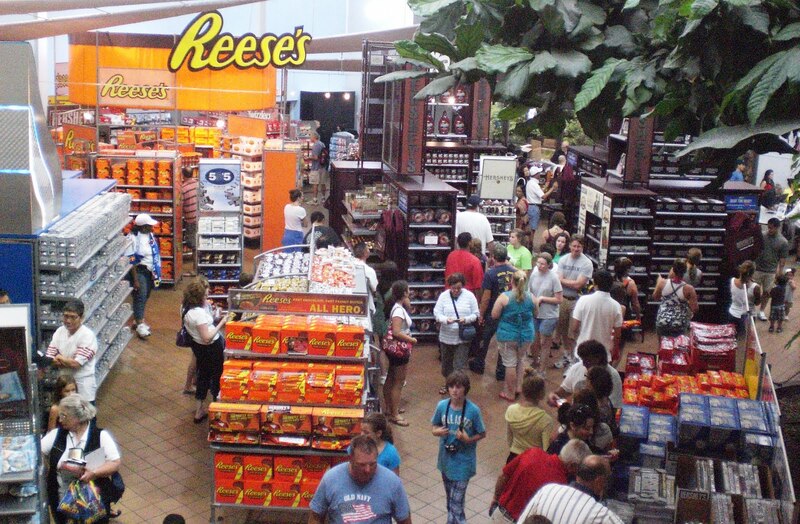 I asked specifically if I could buy TasteTations there, but sadly the answer was no (they were the chocolate hard candies that were popular in the late 90s), they really did stop making them completely. We parted ways as his parents headed for their hotel and we went back into the park to enjoy a few more rides. We headed straight for the SooperDooperLooper, an older coaster that actually goes upside-down without an overhead restraint (reallly rare these days). It has a quadruple helix near the end, which is neat to look up at when you're on the bottom rung. There was literally no line, so we stayed in our seats and rode it a second time. If it was a bit more exciting we would have gone again, but it's fairly simple and you don't see anything really special. From there it was on to Trailblazer, an old-west themed coaster that reminded me a little of Big Thunder Mountain in Magic Kingdom. It has one of the lower height limitations, so there were more children with parents in line for this one than there were at any of the other coasters we rode. The ride is probably about 75 seconds long, and it's pretty gentle. HOWEVER, the safety of it is kinda in question if you ask me. I could've reached out and touched trees/grass on it (probably could have done this to the ground in SooperDooperLooper as well), PLUS a taller person might have hit his head going through the tunnel. But, again, it's an older ride so that's probably what you could get away with back then. We wandered around the water park area to get a better understanding of the different rides. It was still kinda rainy, so the water would've been pretty cold, so we decided to wait until next time to hit up the water activities. There are quite a few rides we didn't get a chance to go on (again, the park is GIGANTIC), plus we didn't see any of the shows, so our go-back passes will get a great deal of use. :) Now, the question is when will we get there before Labor Day? ?